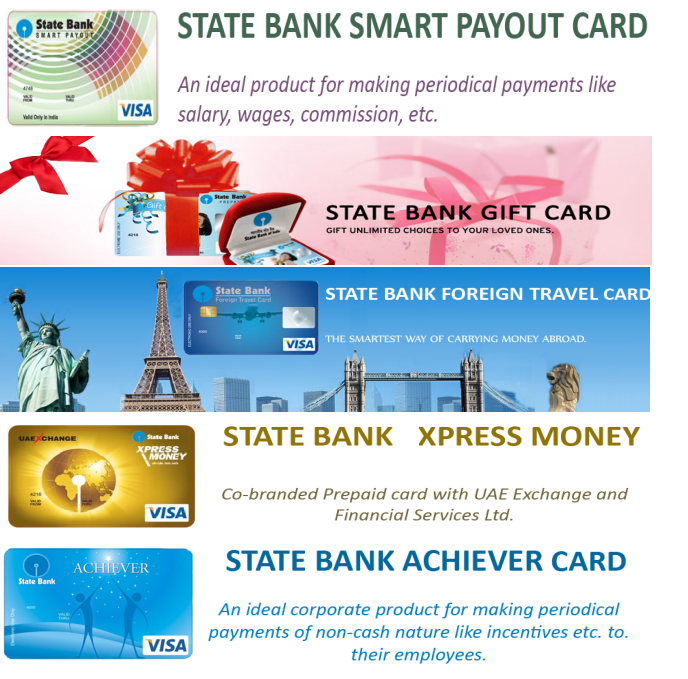 State Bank Smart Payout cards' are enabled for Cash withdrawal,Balance enquiry at other Bank ATMs(will be charged as prescribed from time to time) currently Rs.20/-Per withdrawal and Rs.9/- for balance enquiry. i. For Corporates: Employees/Workers/Contract labourers of Corporate/MCG/SME customers etc. ii. For Individuals: To all KYC compliant primary account holders for ultimate use by beneficiaries (dependents). This can be helpful for customer who do not use DEBIT card frequently and he/she do not wants to pay annual FEE for DEBIT card. Charges Rs. 20.00 per withdrawal. Charges Rs. 9.00 for balance enquiry.